NICC has the pleasure to invite you to an evening with two lectures on 11 November at NICC, rue Lambert Crickx 1, 1070 Brussels. 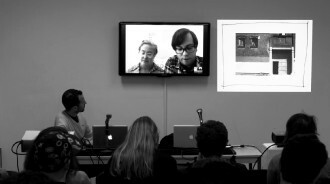 Within the framework of the current NICC Vitrine exhibition ‘Let The Artist Die (if they want to) NICC presents a Skype lecture. 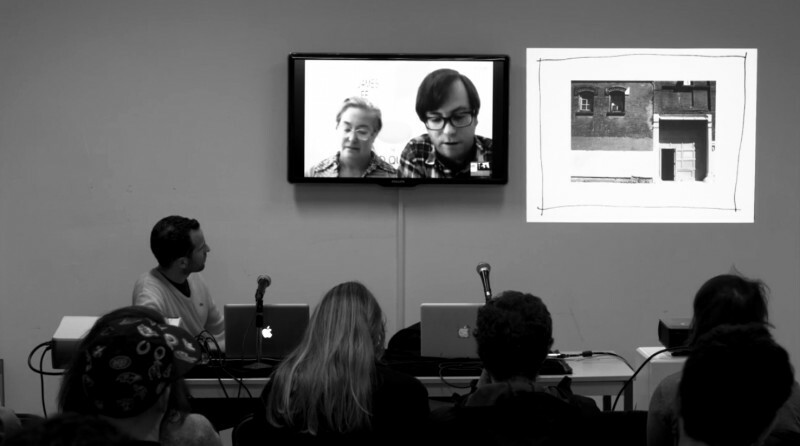 Shelly Bancroft and Peter Nesbett will interact from their studio in Philadelphia. 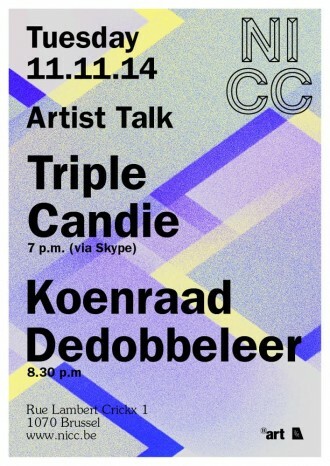 Brussels based artist Koenraad Dedobbeleer wil give a lecture about the artist's recent solo exhibition A USELESS LABOUR, APOLITICAL AND OF LITTLE MORAL SIGNIFICANCE at Clearing in New York ( October 3, 2014 - November 16, 2014) and his most recent solo show, opening 31st of October at GAK in Bremen, entitled : "A Quarrel In A Faraway Country Between People Of Whom We Know Nothing". Since 2006, the alternative space Triple Candie--founded in Harlem in 2001--has been producing exhibitions about art without art or artists. The shows have consisted of reproductions, sculptural surrogates, and theatrical stage-sets that are often discarded or recycled after they are reinstalled. Two especially notorious examples: "David Hammons: The Unauthorized Retrospective" was the largest survey ever of the influential and highly reclusive Harlem artist David Hammons, though it consisted exclusively of photocopies and computer printouts; and, "Cady Noland Approximately: Selected Work, 1984-2000", the first-ever survey of the work of an equally influential and reclusive artist that consisted of sculptural surrogates made by the gallery using information gleaned from the Internet. Both exhibitions were produced without the artists' permissions. 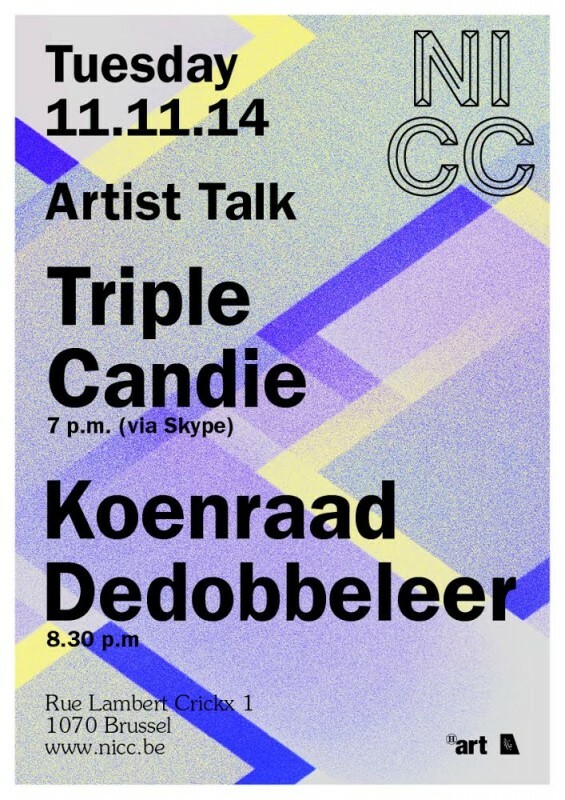 Triple Candie's other exhibition have included a collection of 1,200 reproductions clipped from art books; a survey of the work of Lester Hayes, a fictional, bi-racial artist; a theatrical recreation of a 1950s-era Greenwich village café and photography gallery; and two exhibitions of common, everyday objects that have been extensively catalogued. This lecture-demonstration will serve as an educational primer on the gallery's work and will delve into issues of artistic control, institutional license, and public access. The sculptures of the Belgian artist Koenraad Dedobbeleer (b. 1975) work like simulacra of functional present-day objects. Because they are placed in an exhibition context and hence freed from their useful function, they exist as ambiguous supports that are made available for interpretation. Each piece is presented as both an everyday object, belonging to the domestic sphere (a piece of furniture, utensil, tool), and an esthetic object, corresponding to the criteria that obtain in design and sculpture. Tables or columns are excessively enlarged, for example, or taken apart and rebuilt differently. Koenraad Dedobbeleer (born in Halle, Belgium, 1975; lives and works in Brussels) produces sculptures, installations, photographs and publications, and has regularly shown internationally since the late 1990s. 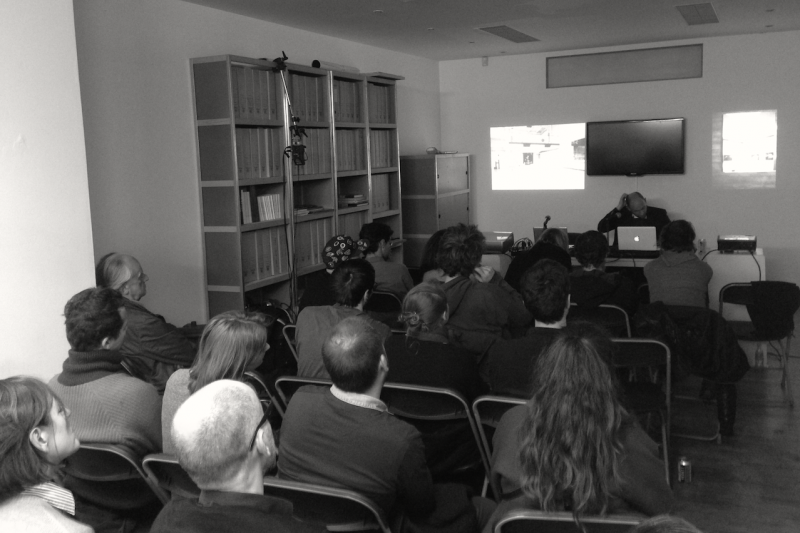 Winner of the Mies van der Rohe Prize in 2009, he is also an exhibition curator and co-editor of the fanzine UP. His many solo shows in art centers include the Fundação Caixa Geral de Depósitos, Lisbon (2010); the Museum Haus Esters, Krefeld (2009); the Frac Bourgogne, Dijon, the Kunsthalle Bern (with Rita McBride, 2008) and the Museum Abteiberg, Mönchengladbach (2007). Koenraad Dedobbeleer is represented by Galerie Micheline Szwajcer (Antwerp), ProjecteSD (Barcelona), Reception (Berlin), Mai 36 Galerie (Zürich) and Georg Kargl Fine Arts (Vienna).